In line with rumours of Apple releasing a 128GB iPhone SE, that has come true today, as the company has doubled storage capacity on its 5-inch iPhone, while keeping prices the same. 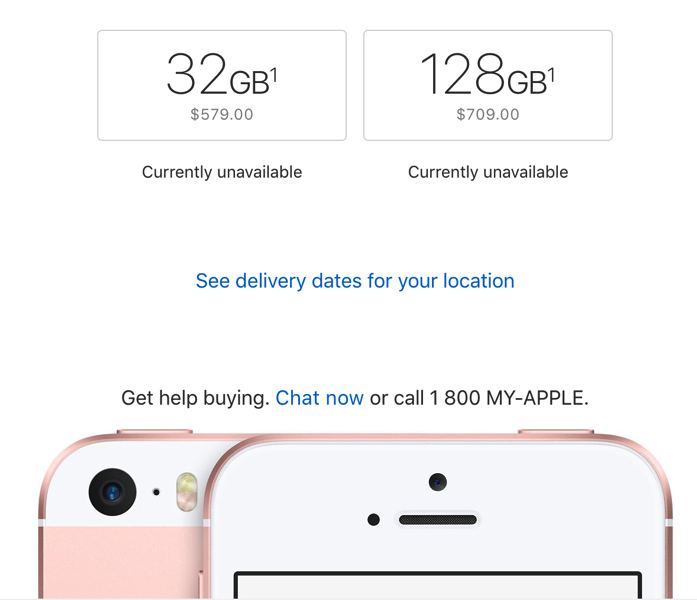 The iPhone SE in Canada is now available with a base 32GB capacity still at $579, while the 128GB storage still is priced at $709, outright from Apple. This brings the iPhone SE in line with iPhone 6s and iPhone 6s Plus, as the latter models are only available in 32GB and 128GB (with an A9 processor as well). We would have liked to have seen upgrade to the FaceTime HD camera on the iPhone SE, as it still remains at 1.2MP. Need an iPhone with 256GB? You’ll need to step up your wallet to an iPhone 7 or iPhone 7 Plus, which earlier today was also launched in a new (PRODUCT)RED option.